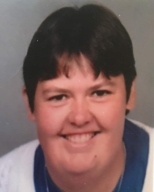 Carol Jean Peltier 52, died in her home in Kalispell Jan 12, 2019. Jeanne was born in Portland July 27, 1966, to mother, Mary Ellen Peltier. She spent most of her growing up years in the Flathead and Missoula area. Some of her years were in the Boise, Idaho, area. She has been back in the Flathead for the last five plus years. During that time, she enjoyed a couple summers participating in the Dragon Races at Flathead Lake. She spent a lot of time knitting and crocheting. She sold many items, or just gave them away to those who needed them. Her favorite item was making “Prayer Bears” for many people. She was preceded in death by her grandparents, Victor and Marie Peltier, her mother Mary Peltier, uncles, Tim Peltier and John Peltier, and aunts, Carol Robbins and Faye Stoken. She is survived by aunts, Dorothy (Charles) Newton, Rita (Henry) Frank, uncles Victor (Betty) Peltier, Joe (Teresa) Peltier, uncles-in-law, Joe Robbins and Ed Stoken, and many cousins. A Mass was said for her at St. Matthew’s Catholic Church in Kalispell. Cremation has taken place under the direction of Johnson-Gloschat Funeral Home, and a private burial will be at a later date in Eureka.